What is Internet of Things and How it Works? Sometimes rhetorics and hypes around a subject confuse users. It becomes difficult for them to understand the true essence of the subject. Internet of Things finds itself in the same boat. With too many definitions and statistics pouring in from different quadrants right from academia to technology advisory firms and technology creators, if your situation is no different, you have come to the right place. Things are physical objects, so when we say Internet of Things, obviously, we are talking about a network of objects communicating with each other, with external objects/systems/software and with the users to serve a purpose. Things could be anything right from a window or door to heart monitoring implants and biochip transponders on farm animals to cameras streaming live feeds, and so on. So how do physical objects communicate? Most of you might be thinking, it is as simple as traditionally connecting web browsers to the laptop. Well, it’s facilitated with electronics, software, sensors, actuators, and network connectivity. There exists a whole new working concept in IoT, where the devices and object come with built-in sensors and are interconnected with an Internet of Things platform. These sensors collect and integrate data from the different connected devices, which are applied for analytics to extract meaningful information. Here, the IoT platforms play an important role in managing the information, like which data will really help to detect patterns, make appropriate recommendations, and detect possible problems before they occur. This will help business to overcome challenges and minimize loss with the proper backup plan. Take an account over the available sales data in order to make the comparison which component is the best seller. Hence, aligning sales data with supply will help to keep sufficient stock. Hence, the above example clearly shows how the information integrated by connected devices is helping to take smart decisions based on real-time information. This is helpful in saving time and money at the same time. In today's hi-tech world, advanced analytics make processes more efficient. The smart objects and systems can automate certain tasks in situations when these are repetitive, time-consuming or even dangerous. 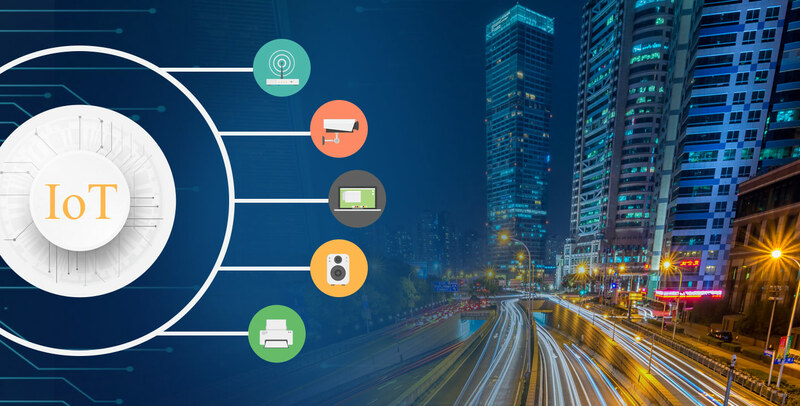 Internet of Things (IoT) has become the buzz of time, comprising built-in sensors, advanced processing, real-time data analytics features and wireless connectivity. However, many giant businesses are anxious “will this machine-to-machine communication or internet of things applications, will help them to achieve success to revolutionize their businesses”. The source from McKinsey reveals that the IoT could unleash as much as $2.3 trillion in new economic value worldwide by the year 2025. Further, the IoT topped Gartner’s Hype Cycle for this emerging technologies and also predicts promising future. The IoT unfolds enormous potential and will prove game-changing for many technologies, including 3D printing, gamification, wearable user interfaces and cloud computing in the following years. Hence, you can get started to pursue advanced business prospect with IoT and Hire iot app developers to see big impact in your business.